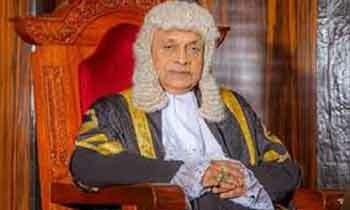 Speaker Karu Jayasuriya said today the date of the debate on the PCoI and PRECIFA reports would be decided at tomorrow's party leaders meeting. Chief Opposition Whip and Janatha Vimukthi Peramuna (JVP) Leader Anura Kumara Dissanayake said the debate should be held before February 10. "The PCoI report has referred to the actions of Prime Minister Ranil Wickremesinghe on the appointment of the former CB governor Arjuna Mahendran to the post," he said. Mr. Dissanayake said the report had also referred to several ministers and had revealed that the EPF had incurred a loss of Rs.8 billion. "This is a white collar robbery where a group of powerful people have robbed monies belonging to ordinary citizens of the country. One cannot expect justice from institutions such as the Attorney General's Department as those are controlled by the very people who had robbed public funds. Therefore those who are involved in the scam should be dealt with in Parliament," he said. Mr. Dissanayake said he would prefer to question those involved, in the House itself. Joint opposition MP Bandula Gunawardene said those who are responsible for the bond scam should be arrested forthwith.